Marketing for your rehab facility can be a tricky task. When promoting a treatment facility, you have to take into consideration who you're trying to appeal to and the state that they might be in. Unlike other businesses, you must be sensitive to the circumstances of your target audience. Coming at this from a marketers point of view is good, but you need to have some knowledge and sympathy towards what your audience and their families are going through. 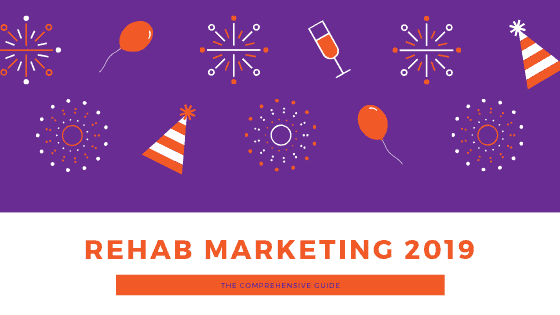 In this post, we'll give you a rehab marketing guide that you can rely on to help promote your business so that you can focus on helping those in need. The most important thing is knowing your role in this process. Your focus shouldn't be on how to get more customers, it should be how to help more people with their addiction. But, with a good marketing plan, you can have it both ways. Let's get started. 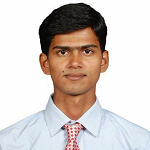 SEO remains the most effective digital marketing tool that we have. Using keywords and analytics, you can subtly draw in customers that want what you've got. For most businesses, it's a tool to get people to their website or blog so that they can sell their product. For your rehab facility, SEO can help get more people in your care. A strong SEO campaign will rank you higher in your target audience's search results. It can take some time for your implemented SEO strategy to take full effect. It's a slow build initially, but it can snowball over a short period of time once you're established as a reputable rehab facility. Using localized SEO practices, you can get addiction sufferers in your region the care that they need and deserve. Including specific location-based terms in your advertisements, on your landing pages, and in your blog posts can make your site visible to those geographically nearby. Marketing your rehab center using social media accounts is a great way to appeal on a personal level to those looking for help. Using posts to link to informative and inspiring material will endear you to potential customers. If you come off emotional and sincere to those looking for help, your facility will grow much more quickly. The average American spends 2 hours on social media every single day. This is an obvious advantage to businesses; social media is free and easy to use to appeal to a wide-ranging audience. Build your brand over social media. You can use the various social platforms to turn your facility into a lifestyle advice center and establish yourself as an authority on getting folks clean. By engaging with your followers, you can build a community of people that are like-minded and supportive to addicts. You can also use social media to increase your positive reviews. Keep in touch with the alumni of your facility and show that you are always there for them even after they've completed their treatment. Word of mouth is still an extremely valuable way to generate leads and grow your business organically. For prospective customers, you can use something like Instagram or Facebook to pull back the veil and let them see what the day-to-day looks like in your rehab facility. If they can see a vibrant community that's committed to helping those in need, then you're more likely to get them in the door. You should always be trying to lead people to your website. This is where you give them the content that they need to be informed about your facility and how you can help them in their recovery. Use social media and SEO to get them to your site, then use your site to get them into your rehab center. To do this, you need to keep your landing page content focused and always make it easy for the customer to contact you for more information. A well written and placed call to action can be the difference between a page visit and an actual lead. There are ways to optimize your website to keep the customers engaged and interested in you. Speed, aesthetics, and functionality are all important when it comes to keeping customers happy. For a rehab facility, you need to maintain a can-do attitude with your content and always inspire the desire to change in addition to making the website look good and function well. We've used this word "content" a few times. So, what exactly does it mean? Your content is basically everything that you put out into the world to appeal to new customers. As a rehabilitation center, your content will be focused on inspiring change and the commitment to getting clean. This can come through blog posts, videos, podcasts, or even linking to other interesting content over social media. For example, this article by Rapid Detect shows you how to properly test for drugs in the workplace. You can optimize your content in many ways. While you are always trying to sell your business to people, you'll need to remain sensitive with your content. And, don't only focus your content towards those suffering from substance abuse, but also the families and friends of substance abuse sufferers. Link to or write about new developments in treatment, how to recognize patterns of substance abuse, and how loved ones can help struggling addicts. Don't limit yourself, but try to always remain thoughtful and engaging. Don't shove keywords into your blog posts to try and improve SEO, but instead think about who's reading this post and make it as well-crafted and informative as possible. You want to inspire your readers to make a lifestyle change. It might not come the first time they read a post, but if you inspire them to start thinking about change, then you've done your job. Rehab marketing can feel a bit strange at times. If you got into the rehab business, it's probably because you want to help people, not because you want to make money. But, it's important to keep the money flowing so that you can keep your doors open for those in need. Always remain sincere. If you keep your principles at the forefront of everything, then you can properly market your rehab center by using digital marketing practices like SEO, social media marketing, email marketing, and blogging. So, start implementing these online marketing methods today and we're sure that you'll begin to see results ASAP. For more informative blog posts on how to succeed in business, visit TricksRoad.